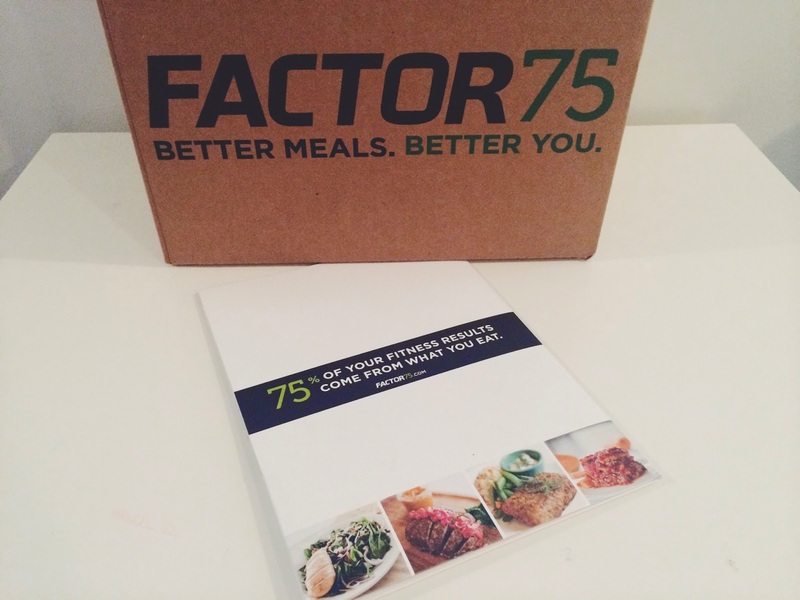 I was recently invited to give Factor 75—a Chicago based prepared-meal delivery service that ships deliciously healthy prepared meals to your front door— a try. I was super excited because I’ve been trying to add more nutritious (and delicious) meals to my diet. These days it seems like I’m always on the go. Whether I’m on location for a work related assignment or at home writing for the various sites I freelance for, I often forget about eating a balanced meal. Enter Factor 75! Factor 75 was created by Nick Wernimont to offer affordable, optimally nutritious and delicious prepared meals to enhance mind and body performance. With that being said, Factor 75 IS NOT a diet. Factor 75 meals come in temperature-controlled packaging (which are super easy to store in the fridge) and can last 4-6 days. Meals come in two sizes, medium (which I got) and large, and costs $10.95 and $12.95, which is a great value! Last weekend I had the incredible opportunity to enjoy four delicious meals from Factor 75. The Porto Pizza Tower is gluten free, dairy free and paleo friendly! Talk about a healthy spin on a guilty pleasure (who doesn’t love pizza?) 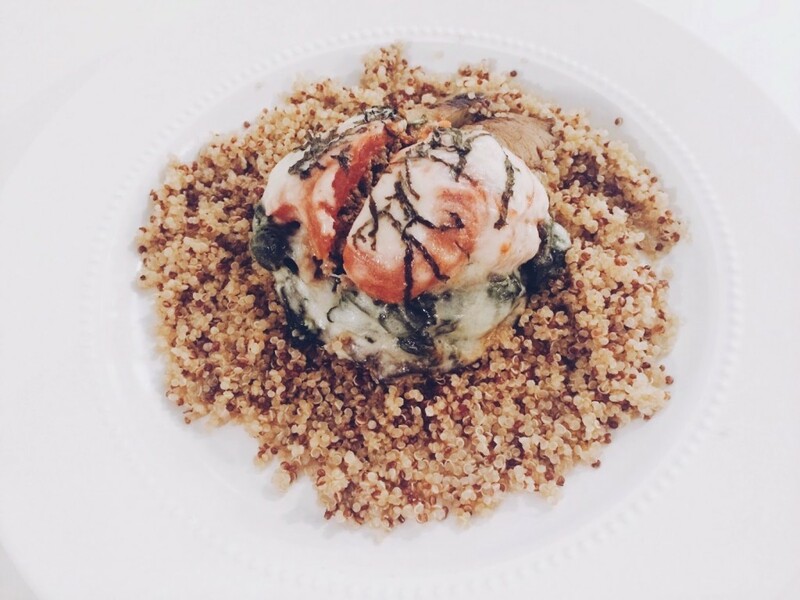 This yummy dish consists of a layered portabella mushroom cap with sautéed organic spinach, house-made turkey sausage, oven roasted tomato, mozzarella cheese and fresh basil. To top that off, it’s served on a bed of quinoa and drizzled with olive oil. This isn’t your average slice of pizza but it’s equally as delicious! 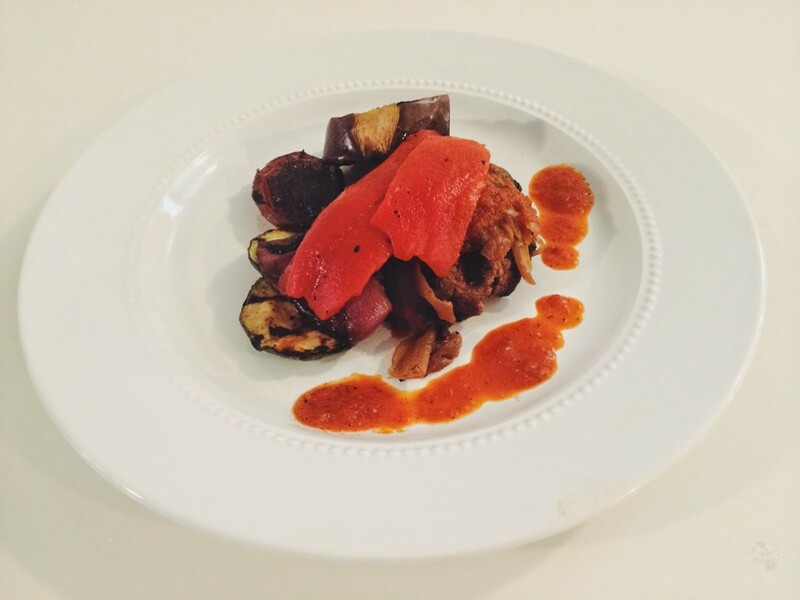 Like the Porto Pizza Tower, the Meatloaf is also gluten free and paleo friendly. 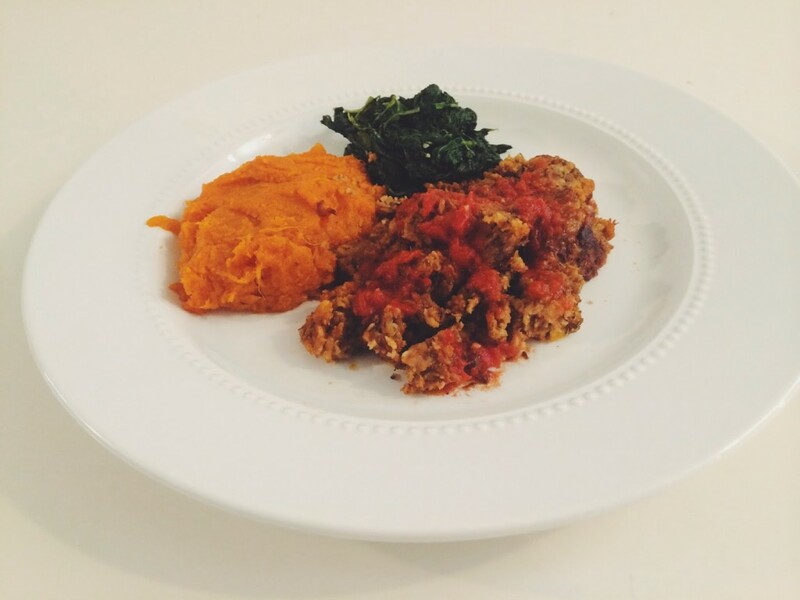 I know what you’re thinking, healthy meatloaf? Is that even possible? Well with Factor 75 it is! Served with whipped sweet potatoes (so yummy), fresh baby spinach and a side of traditional marinara sauce, this satisfying meal makes the perfect dinner! Grass-fed ground bison is mixed with Dijon mustard and egg, and then grilled while being basted with bacon fat to make this incredibly delicious dish. Unlike traditions burgers, there’s no need to add bread or buns. Not only is this meal super yummy, it’s also an excellent source of protein, vitamin A, vitamin C, and iron. My favorite meal of the four (although all were excellent), the butternut squash lasagna is a flavorful mixture of homemade sausage and butternut squash thats layered and baked with marinara sauce. 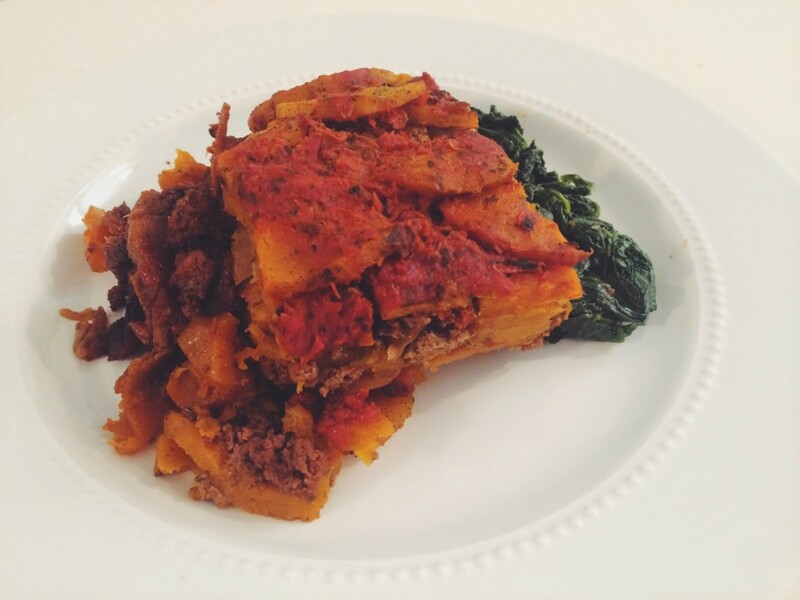 I’m a huge lasagna lover and I have to admit this might be the best lasagna I’ve ever tasted. 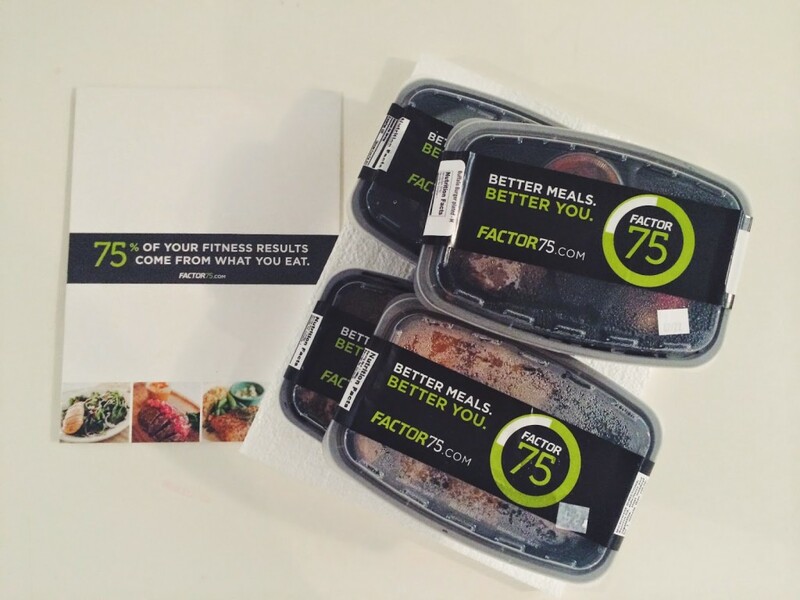 My favorite thing about Factor 75 is that they deliver meals that don’t force you to choose between taste and health! You can decrease your planning and cooking time and increase the number of healthy meals in your life by signing up for Factor 75! *Illinois Readers! Simply Sinova has teamed up with Factor 75 for a special GIVEAWAY! One lucky Simply Sinova reader will one a week of FREE meals from Factor 75. – You must use the Rafflecopter form below, so don’t leave personal information like your e-mail address in the comments! – This giveaway is open from 7/25 and ends 8/8. – The winner has 24 hours to respond before a new winner is chosen!